The public perception of pop-up market food stalls is that anybody can set up a food stall. But, there's more than it meets the eye. Other than the great idea to monetize secret recipe that makes your food a hit with your friends, and customers - there're the business operations costs such as manpower, logistics, marketing and commitment costs. And also regulations set by the National Environmental Agency (soon to be the Singapore Food Agency). So it really depends on many factors. Let's begin with the permit application part. This act covers the organising of pop-up markets, and there can some exceptions, in the case where the venue is already pre-licensed by the URA, NEA, SCDF, BCA etcetera for such purposes, then a temporary trade fair permit is not required IF no live station food booths are involved. Trade Fair Food Stall Licenses must be applied for by the stall holders. Submit copies of participants' NRIC and other contact details. Submit EMA's approval for the use of generator sets, completed with endorsement from a qualified Licensed Electrical Worker of which electrical line drawings would have to be produced. ​Then and only then would our application form be complete. For more information please google for the NEA (and soon-to-be SFA) website for your own verification and details. Note : all the above costs money to provide. So now you know why food booths are much more expensive. Submit list of foods that you intend to sell at the food stall. Abide by code of practices set by NEA. Then and only then would your application form be complete. What if you're selling pre-packed food such as tidbits, snacks or crackers? If these foods are pre-packed and sealed from an approved NEA source, such as a factory, central kitchen, restaurant, hawker stall etc, then there is no direct contact with the food and there is no food handling. The packages must be properly labelled with a 'best before' or 'consume by' date, and contact details of the business selling it. ​In this case, no wash basin in your stall is required and you do not need to have a wash basin. SAMPLING is also permitted, so long as what is opened for sampling is not for sale. Can home based chefs sell at Pop-up Markets without applying for a Food Stall? Yes, so long as they apply for the license for a food stall in a Trade Fair (see above),which means they must also possess the food safety certification. Can home-made cookies or foodstuff be sold in a Pop-up Market ? The short answer is no. But they can still participate for sampling, marketing and friends making campaigns. What this means: You can't sell to the public, so you can't participate in flea markets to sell.... BUT you can participate in flea markets to provide sampling of your products and introduce your own brand... as well as to make friends! ​Get them to become your Facebook, Instagram, Wechat, Telegram friends! And then you can sell to them thereafter. 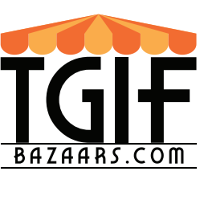 TGIF Bazaars requires participating home bakers to possess food handling certification.